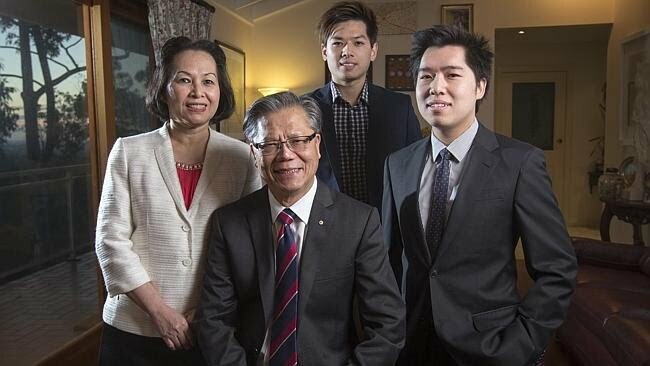 Hieu Van Le will become the first Asian immigrant to be South Australia’s Governor when he takes up the role in September. Announcing the appointment today, Premier Jay Weatherill said the appointment of Le, the current Lieutenant Governor, was a significant South Australian story. “Her Majesty The Queen has approved the appointment of Mr Hieu Van Le AO as the next Governor of South Australia, beginning 2nd of September this year,” the Premier said in a statement this morning. Le will succeed Kevin Scarce, who has served in the role since August 2007. Professor Brenda Wilson, Chief Executive of the Cancer Council of South Australia will be appointed as Lieutenant Governor of South Australia. The Premier said Le’s appointment heralds an historic moment for South Australia. 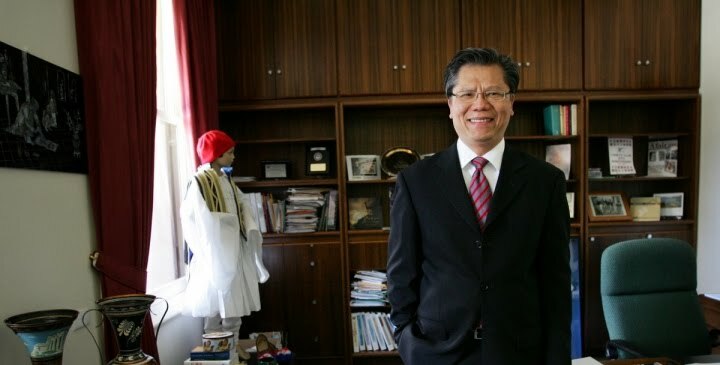 “Mr Le has a story of great significance to South Australia – from arriving as a boat person in 1977, advancing his education, establishing a family, rising through the ranks of business and community leadership, to becoming the Lieutenant Governor of South Australia,” he said. “Now, the next chapter in Mr Le’s incredible journey will be written when he is sworn in as Governor of South Australia in September. At the time of his appointment as Lieutenant Governor, Le was regarded as the first Vietnamese-born person in the world who had been appointed to a Vice Regal position. Le said that he was deeply honoured, and at the same time, extremely humbled to be appointed to the position. He said his appointment said more about South Australian society than him. “I hope this appointement will send a very positive message … to people in South East Asia,” he said. He said he also wanted to be an active contributor to the Aboriginal reconciliation process. “As a young ‘boat people’ refugee, I arrived here 36 years ago with nothing but an invisible suitcase filled with dreams. “A dream to live in a peaceful, safe and free country and to live a meaningful and fulfilling life. “But to be bestowed with the greatest honour and the privilege of holding the Vice-Regal office is absolutely beyond my wildest dreams. “This appointment, however, says much more about our society than about me – it sends a powerful message affirming our inclusive and egalitarian society. “At the same time, this appointment represents a powerful symbolic acknowledgement of the contributions that all migrants and refugees have made and continuing to make to our State. HIEU Van Le’s Australian story began with a month-long journey on a dilapidated wooden boat. It took him to the modest Pennington migrant hostel and now Adelaide’s most prestigious address — Government House. Premier Jay Weatherill yesterday announced Mr Le would be South Australia’s next Governor, replacing Rear Admiral Kevin Scarce, whose term expires in August. Mr Le’s inspirational story is a powerful symbol of triumph over adversity as SA faces an uphill battle to turn the economy around. Mr Le was among the first wave of “boat people” arriving in Darwin Harbour in 1977 with his wife Lan and about 40 others fleeing a war-ravaged Vietnam. “Very early in the morning, we clumsily hit the Darwin Harbour. We were very nervous because we did not know what kind of treatment we would have,” Mr Le recalled. “We had experienced violence and aggression from South-East Asian coast guards who had held guns to heads. That was very close to mind. 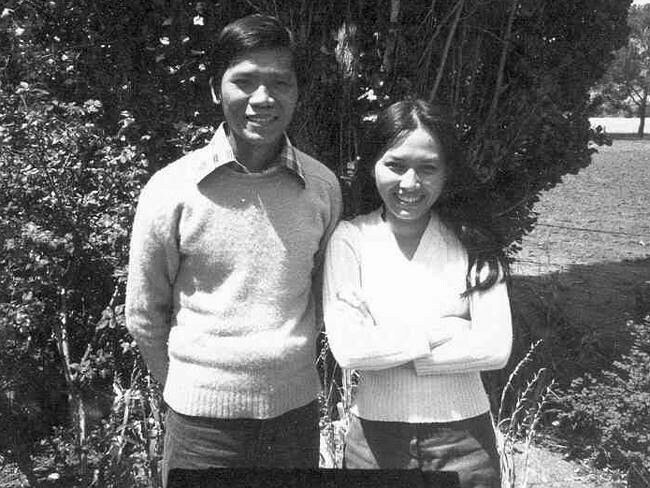 A young Hieu Van Le with his wife his Lan at the Pennington Hostel in 1977. “But it turned out there weren't any coast guards. Just a little tinny with two men wearing wide-brim hats, zinc cream over their noses and already their first beer for the day. “They spotted us, came over and raised a stubby as if proposing a toast and said ‘G’day mate, welcome to Australia’. Mr Le said that he was honoured and humbled to be appointed Governor. He called Government House a “very intimidating structure” and said it was hard to believe he would call it home. “As a young boat people refugee, I arrived here 36 years ago with nothing but an invisible suitcase filled with dreams,” he said. 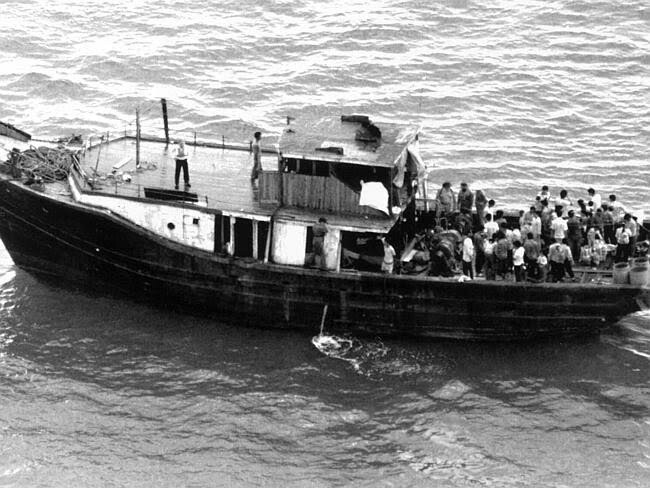 A Vietnamese refugee boat similar to the one Hieu Van Le arrived in at Darwin. “But to be bestowed with the greatest honour and the privilege of holding the vice-regal office is absolutely beyond my wildest dream. Mr Le said that when he arrived in Adelaide, in November, 1977, there were some cultural tensions and negativity surrounding the influx of Vietnamese migrants, but there had been “dramatic” change since. He said he hoped to use his position to further improve the state’s cultural and business connection with South-East Asia. 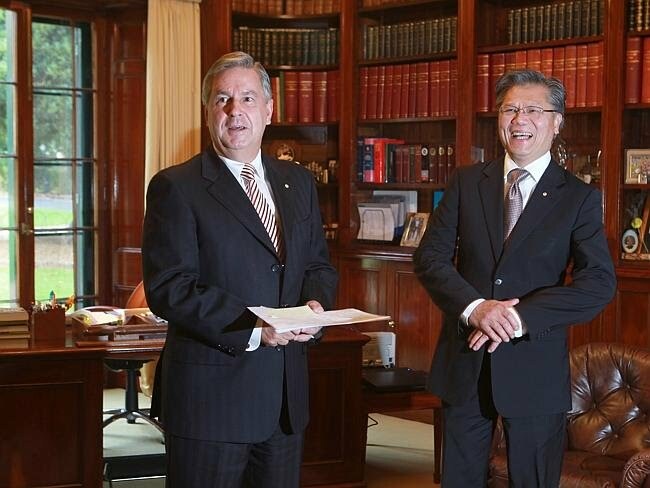 Rear Admiral Kevin Scarce, whose term expires in August, with Hieu Van Le. “We all know about the economic (challenge facing SA), we need to put a lot of effort into that and there is a number of areas we can look into,” he said. Mr Weatherill said it was a great honour to announce that Mr Le would be the state’s 35th Governor and the first Asian migrant to rise to that position in SA’s history.